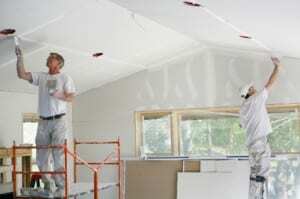 Home remodeling can be as cheap or expensive as the homeowner makes it. The money, as always, is in the details. Sometimes it’s all in the choice of materials, in the places one purchases their items, determining the reason for the rehab, and questioning the expenses of various upgrades to the home. We all know kitchens and bathrooms add value to a home, but is the aim of the rehabbing homeowner to add value or to merely make his home more livable for his family? These can save amazing amounts of money. Looking through a local throwaway paper, one can find ads for unused tile, wood, granite, and many other things. Even used cabinets can be sanded down, repainted, and, if necessary, have doors replaced. Old stained glass doors and windows are available, both from newspaper ads and local used home materials resellers. Decon places are excellent for this too. For example, a great variety of materials is available now for countertops. There are countertops made from recycled paper pulp that has been compacted down to be very strong. There are all types of countertops that can look just like granite or some other high-end material. Is your home valued at a level that really needs granite or poured concrete? If not, don’t worry about what your neighbors have, concern yourself with what you can live with, and what won’t drive you into bankruptcy. There are a lot of difference sources for these. Box lot places have amazing laminate tile sales. Builders often have an outlet place. If a private builder is in the local area, they can sometimes be a great source for this kind of material. Another good idea would be to find another rehabbing homeowner and see if he’s willing to buy in larger amounts from these companies for an even bigger price break. Be sure to get quotes on these materials and pit them against each other. Many stores will have no problem countering with a lower price to win a customer’s business. This is also called boo-boo and mistake paint. It amounts to a color of paint that was mixed for a customer, but the customer didn’t want to purchase it. A sharp buyer can get 75% mark-downs on oops paint. These are good for exterior fences, garages, and the unseen places. Every once in a while, a smart shopper can get a beautiful paint for their main house color for much less. 5) Look at what is there. Must it be gutted? Is it possible to sand, paint, or otherwise improve on the existing structure?